SG Girl Next Door: High returns investment, too good to be true? High returns investment, too good to be true? Last week I received an invitation via phone to attend an investment talk. OK, I must rephrase the sentence as the phone call did not indicate anything about investment at all. I was told that I was selected to attend a fragrance launch by a company called APS. The caller assured me that no purchases are needed, finger food would be provided and at the end of the event, I would be given a bottle of perfume worth $90 which is supposed to be limited edition. 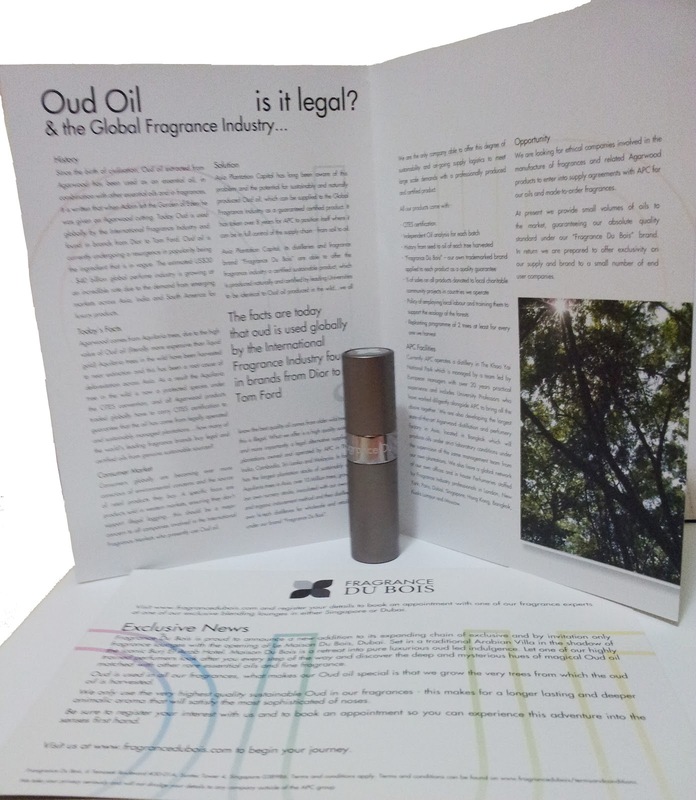 The event would talk about the use of expensive Oud oil in producing this fragrance and it was held at a six-star hotel. Sounded like a genuine event isn’t it? So I agreed and bought along a friend to attend over the weekend. Upon reaching the hotel ballroom, at the registration counter we were told that a sales person would be assigned to us and it would take about one and a half hour to go through the product presentation. Sounds familiar? I wasn’t happy that I was “lured” to attend an investment talk. I asked my friend if she’s keen otherwise we could just go shopping and forget about the perfume. My friend says:”Let’s see what they have to say”. I was more concerned of being forcefully locked in until I agree to invest like what happened to another friend of mine some years ago. She attended a time share investment talk and decided to leave after half an hour. They refused to let her go and had few big size guys surrounded her. (She refused to give in and they eventually let her to go). Anyway, we had a quick bite and coffee and were ushered in by a friendly sales person. The sales person (let’s address her as M) started by explaining that many high end perfume manufacturers use Oud oil in their perfume. 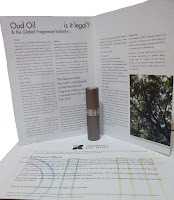 Oud oil, extracted from Agarwood (from Aquilaria trees) is very expensive and is in high demand by the Arab countries and the fragrance industries. These trees are heavily harvested and are near extinction. APC (the parent company of APS) decided to grow these trees and work with plantation owners in Thailand, India, Cambodia, Sri Lanka and Malaysia. How does this investment work? We were told we are investing in the trees (we literally own the trees) in Thailand. We don’t get the returns until 6-7 years later as this is the time it takes for the trees to grow, mature, harvested and sold in the market. The trading price of Oud oil is very high, ranging from $600-$1200. M stressed that APS is not regulated by MAS (Monetary Authority of Singapore); “bell ringing in my mind”. APS was set up here in late 2009. (I was thinking: the first batch of investors has yet to collect their investment returns). We were also told that they would fly us into Thailand plantation to view our trees which have tag numbers that would be shown in the CITES certificates as well. These were shown in the PowerPoint slides, pictures of “smiley and happy investors” standing beside their trees. No brochures were given to us to take home. My friend asked a simple question:”How many tons of trees are harvested yearly?” M and a product person could not give an answer and evaded the question saying something like “they don’t measure by tons” and that the oil produced per tree is measured in Tola. I asked what happen in the event that the trees (in Thailand) were destroyed by natural disasters. M said they would give us the exact number of trees in their Sri Lanka plantation (you believe?). We were also informed that usually the minimum amount to invest is $100,000. But they also realize that many have other financial commitments and could not part with such a large sum of money. So they allow the minimum sum to be $30,000. We asked her to email us more information. (Till now, didn’t receive any). 1) If this is such a lucrative investment, why didn’t the company first approach venture capitalists? 2) Since they know Oud oil is in high demand in the Arab countries, why didn’t they approach those wealthy Arabians? 3) There are many business tycoons in U.S. like Donald Trump and Warren Buffet (to name a couple) they could also approach. 4) How about tycoons in Asia: Lee Ka Shing, Cecil Chao in Hong Kong? 5) Wouldn’t our GICs, town councils, the millionaires here be interested too? 6) Why approach small time retail investors like us who have way less wealth compared to the tycoons and businessmen? There is no free lunch in this world. Your coffee and finger food would have been paid for by some suckers investing. The rest of money goes to the boss. As for the trees, they are just photoshots.